If this were your kid, would you give them an antidepressant? 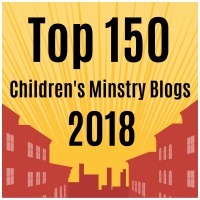 This is the tenth post in our Winter 2013 blog series Understanding Depression in Kids and Teens…A Primer for Pastors, Church Staff and Christian Parents. Today, we’ll answer the question parents are most likely to ask…If this were your kid, would you give them an antidepressant? Few topics in child and adolescent mental health have generated as much controversy over the last decade as the debate about the safety of antidepressant medication given to kids. In 2004, the FDA issued a “black box” warning claiming that antidepressant use in children and teenagers is associated with increases in suicidal thinking and behavior, which was expanded in 2007 to include adults between the ages of 18 and 24. In my opinion, the larger controversy about antidepressant use in children and teens is not “are they safe?” but “do they work?” and if they work, what do they work for? Some of those questions were addressed here. In an effort to help parents make sense of what they read and hear, we’ll examine the findings of two large studies. The first study (funded by the National Institute of Mental Health) was conducted by Dr. Jeff Bridge and his team at the University of Pittsburgh, analyzing results of 27 clinical trials of antidepressants…fifteen studies involved kids with depression, six with Obsessive-Compulsive Disorder (OCD) and six with non-OCD anxiety…encompassing 5,310 patients under the age of 19. No child or adolescent patient to date in any trial of antidepressant medication submitted to the FDA or included in Dr. Bridge’s analysis actually committed suicide. The number of patients who must receive a specific treatment for one to benefit (Number Needed to Treat-NNT) or for one patient to be harmed (Number Needed to Harm-NNH) varied for antidepressants depending upon the condition the child or teen was receiving treatment for in the study. To clarify, patients with depression were eleven times more likely to experience significant benefit from antidepressant medication than to experience medication-related suicidal thinking or behavior. The second study (also funded by the National Institute of Mental Health) was conducted by researchers at the University of Chicago examined suicidal thoughts and behaviors in 9,165 patients (including 708 youth) treated with fluoxetine or venlafaxine for depression (all of the youth were treated with fluoxetine). In the four studies of youth on fluoxetine, the medication was effective in treating symptoms of depression, and no evidence of increased suicide risk was seen. At the same time, there was no evidence that a reduction in depressive symptoms produced a decrease in suicide risk in youth, as is the case with adults. The author of the study has speculated that other factors beyond depressed mood likely contribute to suicidal thinking and behavior in kids. First, I’d point out that the potential benefits of medication appear to outweigh the potential risks, especially for kids with anxiety, but in my experience the risk of an increase in suicidal thoughts/behavior associated with antidepressant medication appears to be greater than zero. In fact, if I had to guess, the risk may be a little higher than what the data has led us to believe up to now. I would be most concerned about an increased risk in kids with some other condition (in addition to depression or anxiety) that interferes with emotional self-regulation and/or impulse control (ADHD, trauma, kids with behaviors similar to those seen in Borderline Personality Disorder). One hypothesis put forth to explain a possible increase in risk involves the suggestion that antidepressants might cause disinhibition in a subset of patients…evidence supporting this hypothesis includes the observation that the pathways in the prefrontal cortex of the brain modulating impulse control don’t fully mature for most people until their early to mid-20s, coinciding with the time after which antidepressants are no longer associated with increased suicidal risk. Second, since cognitive-behavioral therapy (CBT) appears to be an effective alternative to medication for kids with anxiety and depression, kids with mild to moderate symptoms should probably receive a trial of CBT from the best therapist you can find prior to a trial of medication. If my kid had significant functional impairment from anxiety prior to the onset of depression, prominent physical symptoms (sleep and appetite disturbances) or persistent suicidal thinking, I’d be more inclined to start with a combination of medication and therapy. 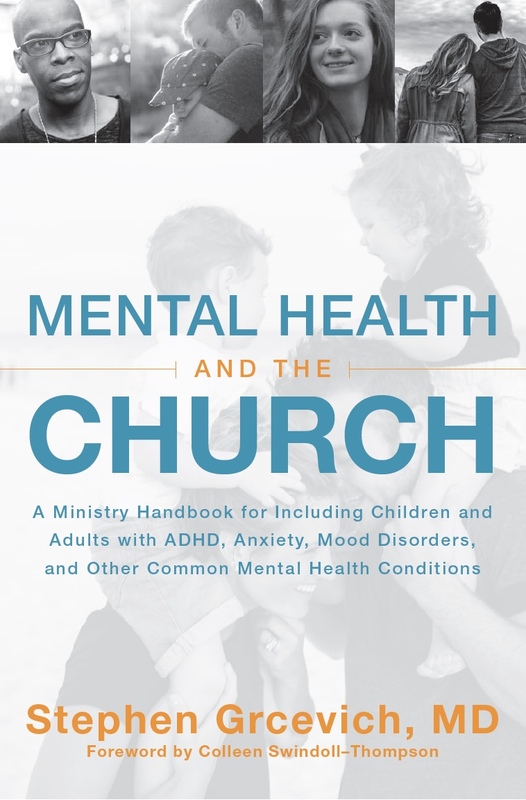 This entry was posted in Depression, Key Ministry, Mental Health and tagged antidepressants, children, children's ministry, Disability Ministry, Family Ministry, if this were your kid, Key Ministry, Stephen Grcevich MD, teens, youth ministry. Bookmark the permalink. 2 Responses to If this were your kid, would you give them an antidepressant? What a really well-written series. Thank you. We were walking through a horrific time last year when this series was written. I wish I would have found this then. 🙂 I had a couple thoughts to add from our experience. 2) Our son’s situation was alluded to in your first post. I was thrilled to see it recognized in your first post. Mixed State. We were not screened for this. Our son was given several anti-depressants before someone finally caught it. Granted, his situation was unbelievable complicated. Providers did not mince words when speaking with us. They very clearly told us he was very severe, had a very long road, and they weren’t sure what to do. Someone caught the combo of symptoms and immediately let us know that she thought it was Bipolar II/Mixed-State (these are the same thing, if I’m remembering correctly). This can be misdiagnosed (or accurately diagnosed but mistreated because of the underlying diagnosis) as OCD, generalized anxiety, panic disorder, ADHD, and Major Depressive Disorder. All of those happened to our child, because he did experience all those. But his extreme agitation and states of incredibly annoying giddiness/foolishness/obnoxious behavior were written off as being normal teenager. We were told we just didn’t understand teenage boys and he needed to “be with his tribe”. (it was generally assumed we had messed him up from home educating him) In the end, the fact that someone put all the pieces together and began to accurately treat him made an enormous change in his life. We aren’t at the end of this journey. No way. But where we were last year (amazing amounts of agitation resulting in violence/constant arguments/ yelling / screaming / throwing things … affecting our other children deeply, resulting in me calling my husband home from work and friends to come over to help me, Major Depressive Disorder resulting in inability to sleep at night (fall asleep or stay asleep), inability to get out of bed and function, lengthy periods of crying, inability to go to school (thankfully recognized and treated by assigning him an at-home tutor that year who was amazing and graded him based on any glimmer of understanding she could get), mistreating our family in enormous ways, us calling the police as we needed help getting him to the ER, being unable to have him placed in our smaller town, calling around to find places to send him because we COULD NOT function in our home any longer …. we were in SEVERE crisis and no one understood. We would explain it and they just wouldn’t “get” how severe it was or what to do. Someone finally listened. She fit him in, even though she was full. She changed his medication and the agitation slowly went down. She added in an antidepressant that he could tolerate once the mood stabilizer medication worked. The depression slowly lifted through that summer. Is everything perfect? No way. Have we needed to adjust medications? Yes. Is it still a roller coaster? Oh yes. It’s not longer careening down a cliffside in a car crash, but it’s still a roller coaster. But he goes to school every day. He is mostly managing his schoolwork. He has even faced a medical diagnosis without sinking so low we weren’t sure we would get him back. Was he sad about it? Yes. Was he difficult to live with? Yes. But the medication kept him at levels that he could accept/deal with the diagnosis without us losing him. We are still not a family someone would want to trade places with if they knew it all. But we are so far from where we were last year. We were 500 feet deep in a hole in the ground. And we came 300+ feet up over the last year. Are we still pretty deep? Oh yes. But we aren’t where we were. Anyway, I don’t know why I shared all that on a year old blog post. 🙂 Thanks for listening, though. Thanks for sharing! We were involved in a couple of research studies funded by the government looking at antidepressants and suicide. I think it’s more than an increase in the ability to act…the kids we saw who did develop a new onset of suicidal behavior were clearly more impulsive.